Be sleek. 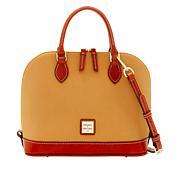 This patent dome satchel gives you a major punch to your posh. The slick walls and elegant touches of hardware make it a go-to handbag every day of the week. 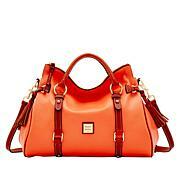 This bag is an absolute stunner! I got the blue denim and it is beautiful! Great quality, very elegant you will not be disappointed it was a great buy for me. 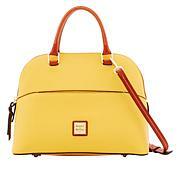 I will be purchasing the same bag in a different color because I loved it so much! 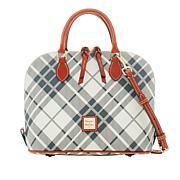 First time Dooney girl here! 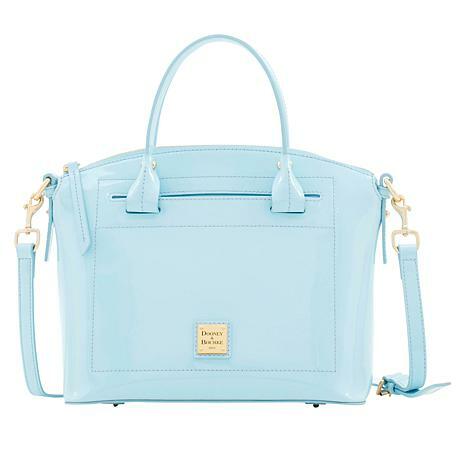 This satchel is an absolute stunner. Words can not clarify the beauty it portrays in person, all I can say is 'Wow'. Extremely happy with this purchase in white. Also first time HSN customer, fantastic customer service and love the box it arrived in, truly made me smile with "How happy my box was to see me", extremely happy with HSN! Trust me, you will not be disappointed!